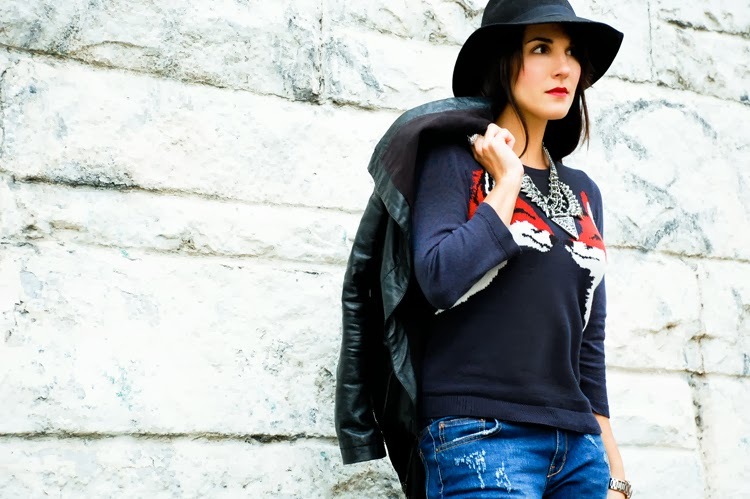 Ann Taylor Kissing Fox sweater, Zara boyfriend jeans, jacket from Alter (last seen here), thrifted hat, claw ring from Pop, Zara necklace, bag c/o Rebecca Minkoff, Rag & Bone Harrow boots (also seen here). I'm obsessed with two items in my closet right now: this kissing foxes sweater and my new ripped boyfriend jeans from Zara. So of course it made total sense to pair the two together to create my fashion version of a sweatsuit (ie. I'm totally comfortable in both of these things and I feel like I'm lounging without, you know, lounging). Throw on a hat and chunky necklace and no one is the wiser. I know we all have outfits that look daytime appropriate but that secretly make you feel like you haven't left your couch, so tell me...what's your favorite comfy look? sweet outfit! love that shirt! 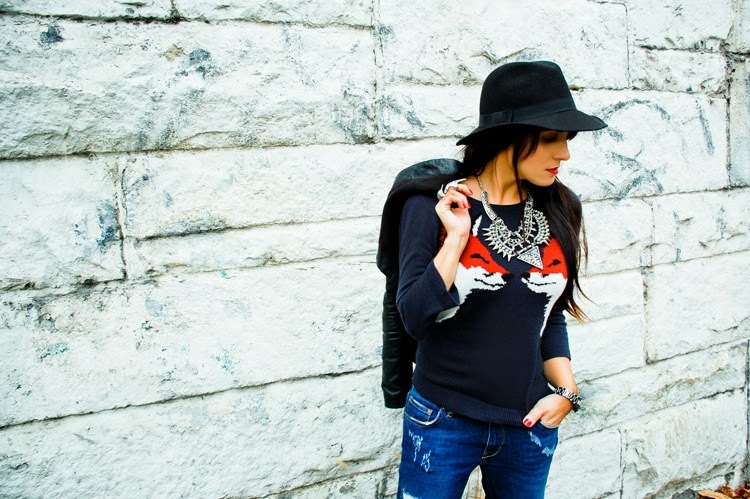 love the sweater<3 foxes are my favorite! LOVE. SO comfy yet totally put together. 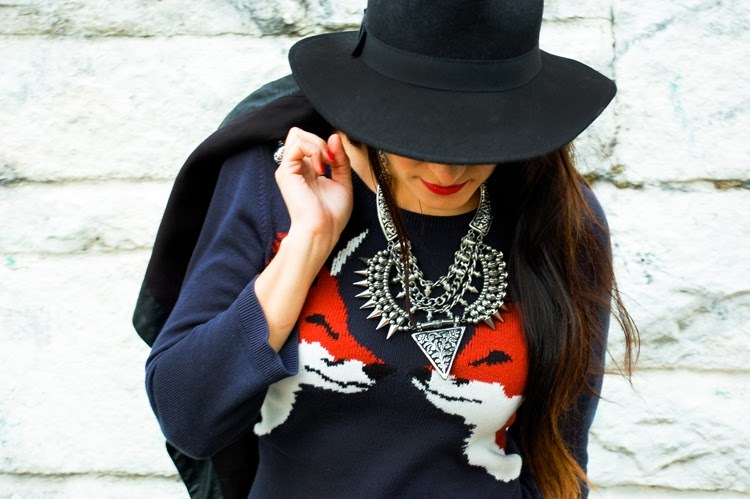 I need to wear my statement necklaces with sweaters/sweatshirts more often! Love this entire look, and that necklace was just the perfect piece to complete this look. Great look! I love the sweater! Thats sweater is supre cute!! LOOOVE that sweater, it's so cuuute! Absolutely love this look and that statement necklace is everything!